January 12, 2017 – CAPACOA regularly collaborates with key partners from the presentation sector and beyond to create an environment in which performing arts presentation can thrive. This winter, we are opening up the discussions: we invite you to join them as part of our Arts in Perspective conversations, a highly interactive web conference series. Not quite webinars, not quite panel discussions, not quite consultations either, the Arts in Perspective conversations will borrow from these different forms of gatherings to create unique knowledge sharing hangouts. You will learn what's been going on behind the scenes, you will acquire actionable information, you will get to share your own intelligence and insights, and you will participate in the creation of an environment in which the arts can thrive. Frank, honest and straightforward discussions on complex, but critical topics. The topics for this winter's Arts in Perspective conversations will be Copyright and Neighbouring Rights, International Taxation, Digital Innovation, as well as Arts and Belonging. Another conversation on the time crunch will be confirmed soon. These free online conversations are for everyone: presenters, agents, artists, funders, and other arts entusiasts. Over this conversation you will learn how copyright and neighbouring rights differ from one another and how they intersect. You will also learn how CAPACOA and Re:Sound have been collaborating to create tariffs that are fair, simple, and efficient – and and you'll have the opportunity to tell us where we could do better. You will also find out how Re:Sound and SOCAN are tapping into new technologies that are about to bring collective rights management into a whole new world. International taxation can be quite dreadful, but it shouldn't have to be so. In this conversation with experts on the topic, you will find out how the Performing Arts Tax Working Group has been (and is still) working with the Canada Revenue Agency to streamline non-resident taxation. You will also learn a few tricks to make your life – and that of non-resident artists performing in Canada – a bit easier. Digital innovation in the performing arts has seen many experiments using digital and digitized works to reach and build audiences and business models online. What is the future of live theatre, dance and other performing arts as digital technologies and data networks' capacities continue to advance? What might be the effects on the live performing arts shows? What can we learn now from the shifts in the music industry business model during the last two decades, or publishing, newspapers, travel agents, taxi companies? CAPACOA and Strategic Moves have set out to explore these questions in-depth through the Digital Innovation Council for the Performing Arts. In anticipation of the Arts in a Digital World Summit and of the release of a report by the Digital Innovation Council, this conversation will be an opportunity to discuss early research findings and to shape new ideas for digital innovation in performing arts presentation. This research project is funded by the Department of Canadian Heritage. What is belonging? 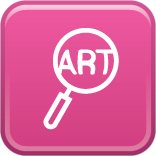 How does it relate to arts and culture? And how can we strengthen belonging to each other and our communities? 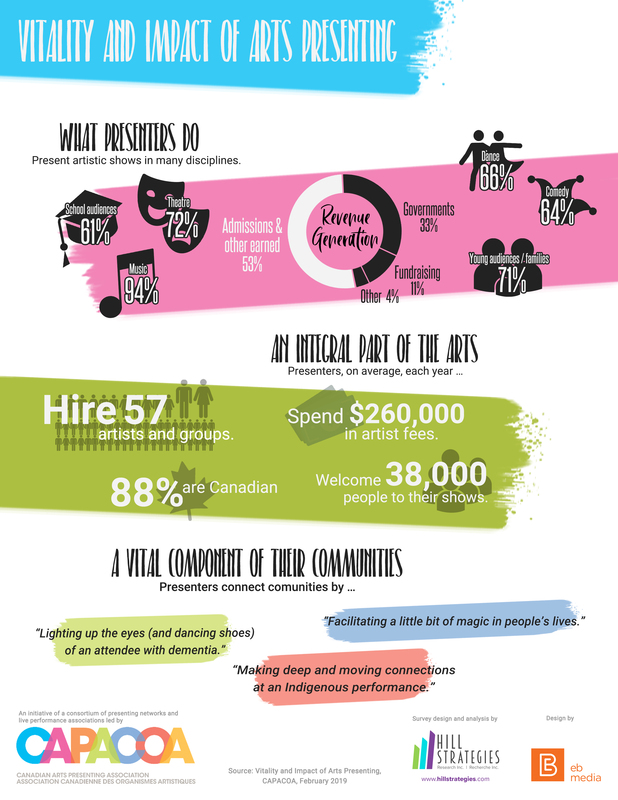 As part of the national Vital Signs program, Community Foundations of Canada and the Canadian Arts Presenting Association have sought answers to these questions and are releasing a new report on Arts, Culture and Sense of Belonging on April 25. Join us online to unpack the findings of this unique exploration, to discuss the recommendations with the research team, and to generate your own insights. This research project is funded by the Canada Council for the Arts and the Ontario Arts Council.